I have three AV (S Video) modded Atari 2600's that I have tested with the RetroTINK 2X. I've had no problem running cartridge games. However, running games from the Harmony Cart has had the same issues with all three systems. Note: One of my 2600's has the Longhorn AV kit installed and the other two have the AV kits from Electronic Sentimentalities. Some games stumbled at start-up...but then ran OK. Others won't run at all. For those of you, who have a similar set-up, please consider trying to run [Fast Food], [Battlezone] and [Moon Patrol] from your Harmony Cart...and reply with your experience. Edited by StephenJ, Thu Dec 27, 2018 8:34 PM. Are you running the same game from cart & Harmony, or different games? The number of scan lines output by the Atari is totally under program control. It should be 262 for an NTSC Atari, but games often output more or less, and are sometimes inconsistent such as sending 260 when showing the game select screen and 262 when showing the game itself. Old CRT TVs can handle an incorrect count, modern displays (and HDMI converters) expect 262 often will not work if the count is something else. The further from 262 the greater the chance it won't work. "...Are you running the same game from cart & Harmony..."
The only game that I have in cartridge form, that exhibits a problem with the RetroTINK, is Moon Patrol. When turned on, the screen flutters and goes blank...until the fire button is pressed. Then it runs OK.
BTW: False alarm on Battlezone. 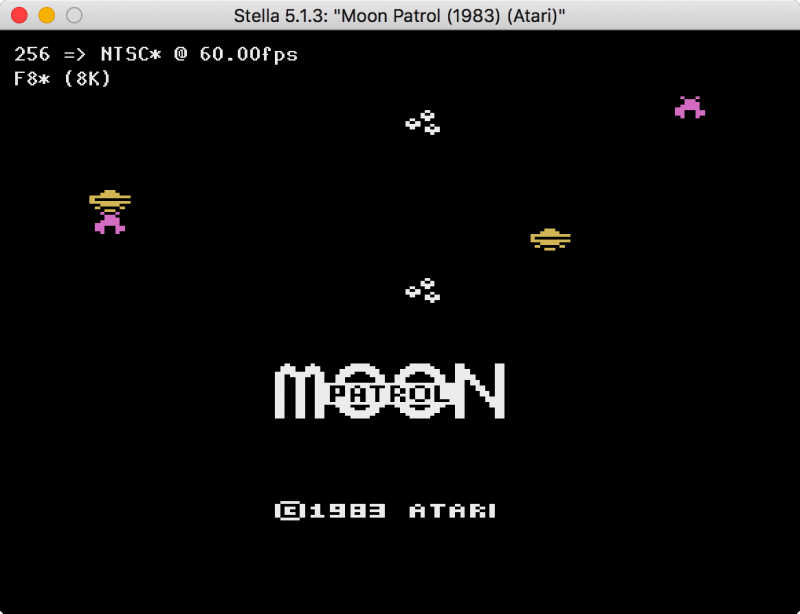 I tried it again and it runs OK.
You can use Stella to check scanline counts for games you're having problems with. Use Developer Key ALT-L (Linux, Windows) or COMMAND-L (Mac) to Toggle frame stats which will add scanline count to the upper-left corner of the display. Yep, these are bugs in the games themselves, and the reason it won't display anyway isn't due to any issue with the Harmony Cart but the apparent inability of the RetroTINK to display a non-standard frame. I have hacked Fast Food to have the proper number scanlines. 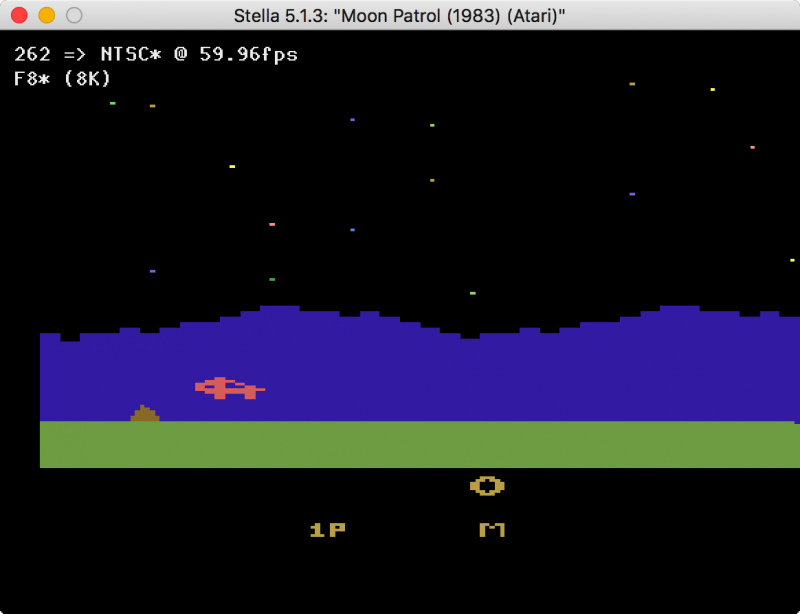 Moon Patrol isn't as easy to fix but I am talking a look. Never mind, Moon Patrol wasn't that hard to fix either. In either case let me know how these work. You just gotta love the AA community. Many thanks SpiceWare and Batari! !